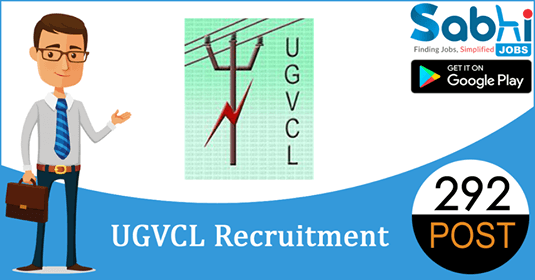 UGVCL recruitment 2018-19 notification has been released on official website www.ugvcl.com for the recruitment of 292 vacancies at Uttar Gujarat Vij Company Limited. The candidate who is looking for Junior Assistant, Junior Engineer (Electrical/ Civil) can apply online application from 21st July 2018 to 10th August 2018. Qualification Junior Assistant: Full time graduate qualification in regular mode from recognized University duly approved by UGC/AICTE in any discipline. Junior Engineer (Electrical/ Civil): Full time/ Regular B.E. (Electrical/ Civil)/ B.Tech (Electrical/ Civil) from Recognized University duly approved by UGC/AICTE. How to Apply Interested and Eligible applicants may apply online though the website www.ugvcl.com from 21st July 2018 to 10th August 2018. Age Relaxation: 5 years for SC/ ST/Female and 10 years for PWD candidates.